Whiz-A-Top carries a wide selection of linens to fit just about any décor and occasion. With various colours and sizes to choose from, you can find linens for restaurants, hotels, banquet halls, and other facilities. 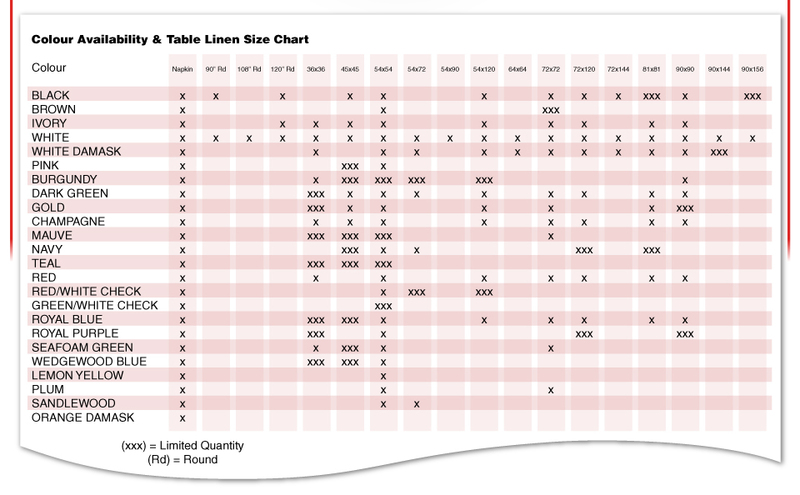 Check out our linen size chart to see what colours we have to offer and the sizes provided. If you have any questions about our linen rental availability, please do not hesitate to contact us for additional information.